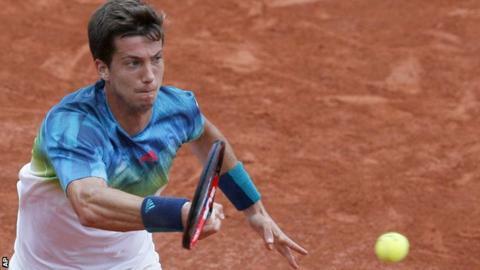 British number three Aljaz Bedene was beaten by Serb Nikola Cacic - a player ranked 692 places below him - in the first round of the Croatia Open. Cacic, ranked 761 in the world, came back from a set down to win 5-7 6-4 6-4 on Bedene's 27th birthday on Tuesday. Elsewhere, British number four Dan Evans won 6-2 6-1 against German world number 96 Benjamin Becker in the first round of the Citi Open in Washington. Evans needed 49 minutes to win and will now face Bulgaria's Grigor Dimitrov.